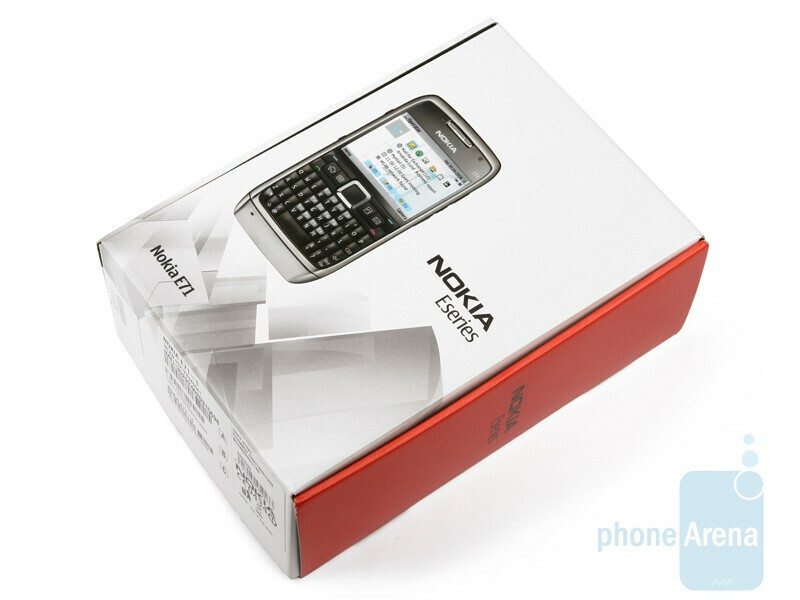 Nokia’s E-series started its life-span in 2005, being announced as a “business-oriented” device. 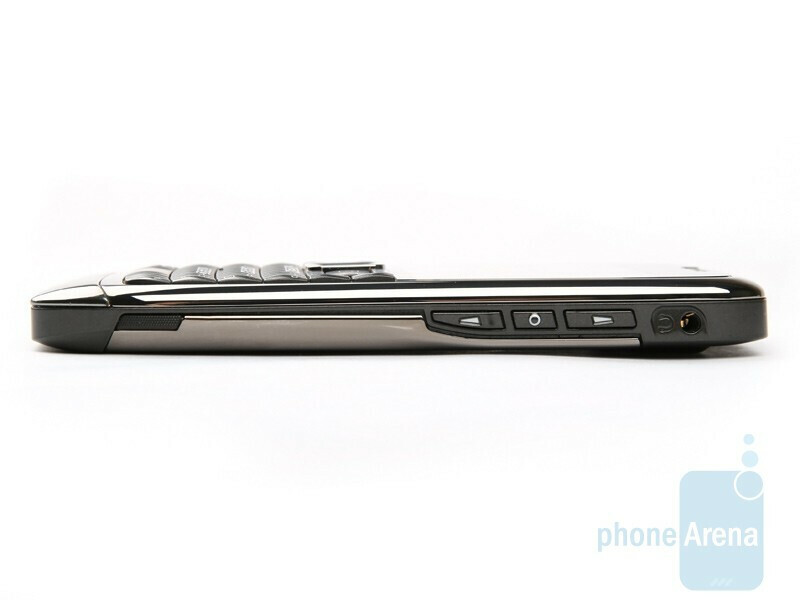 The main purpose of these devices is to help you organize your day and work with e-mail. 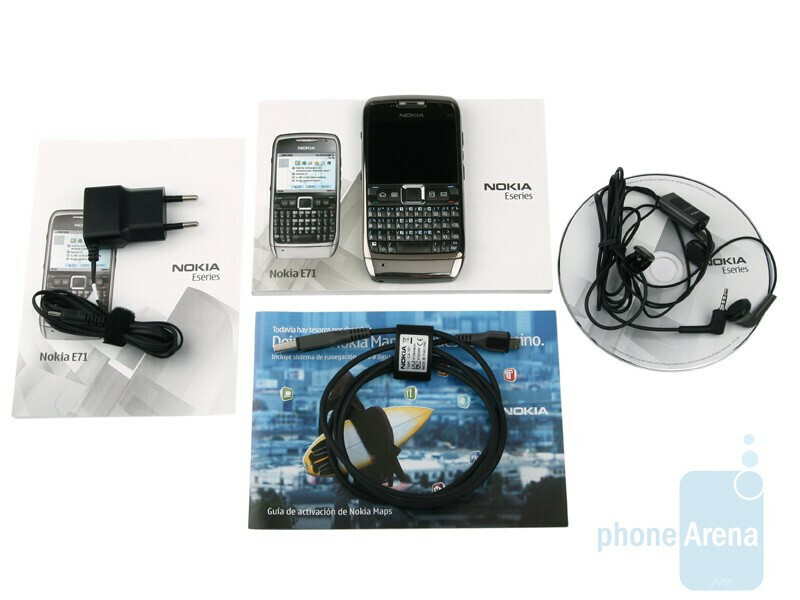 Like the ones from the N-series, the E-series runs on the Symbian platform. It’s a bit modified however, and their specifications don’t include powerful cameras and speakers. Besides, their appearance is rather official and (hopefully for us) more metallic. 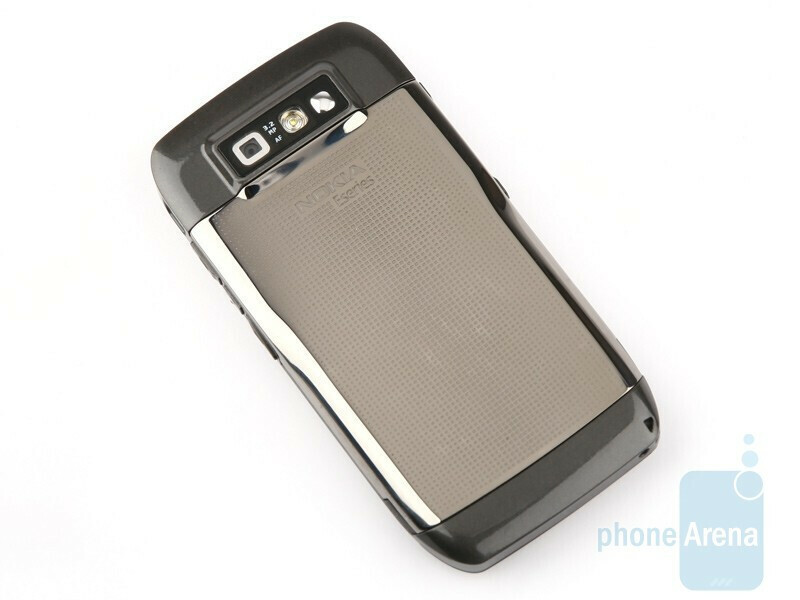 All models of the series are unisex, and even though it lacks the E66’s compact size, the E71 could just as well attract the ladies’ attention. Ladies themselves just need to meet the following requirements – be fond of metal (the material, not the music genre), to have no worries about the width, which is a bit above average, the little heavier weight, and to actually like business-looking phones. 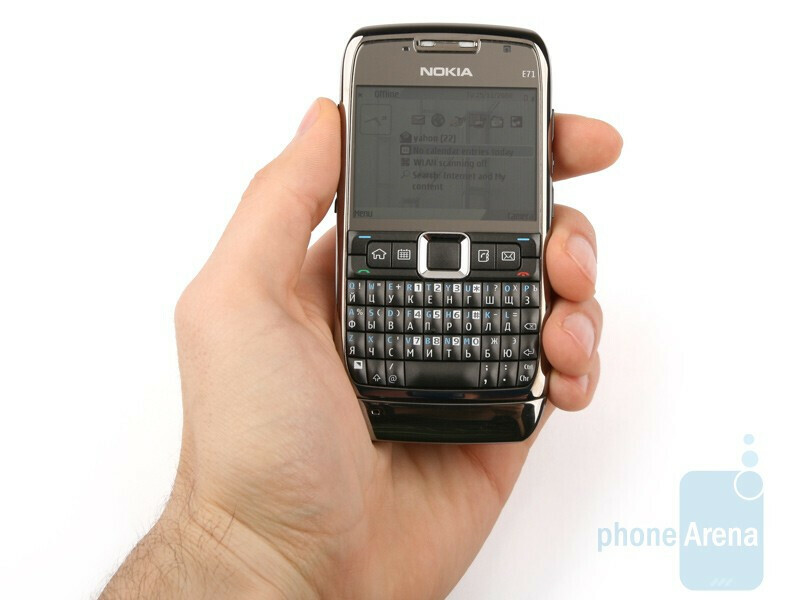 You can compare the Nokia E71 with many other phones using our Size Visualization Tool. 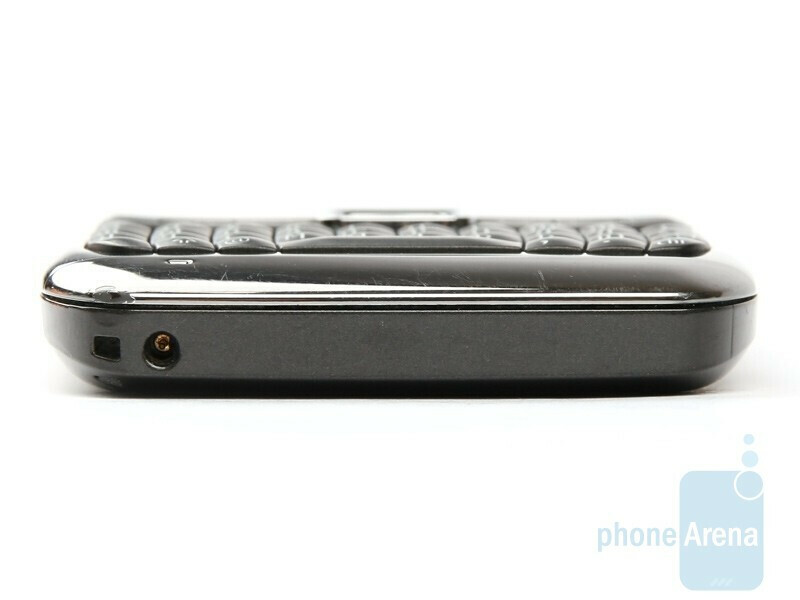 The phone is almost entirely constructed of metal and respectively it weighs more than average (127 grams), but it seems to have worked out long enough in the gym, since its body is really firm and without any redundant elements. When you hold it in hand, it gives the impression of being something massive and durable, and in one’s pocket it feels like a magnificent cigarette box, or in other words – convenient. The only thing we didn’t like is that the metal parts seem to attract finger prints very much. 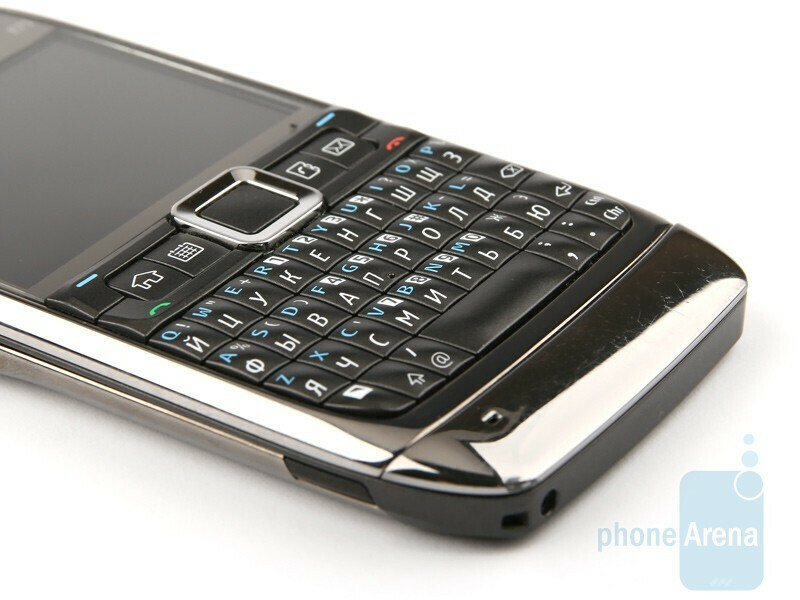 The E71 is equipped with a 2.4” QVGA display and offers perfect image quality, no matter the light conditions. Below the display you’ll find the functional keys; the send and end keys and four shortcuts, leading to the main menu, calendar, phonebook and messages. All of them, as well as the D-pad are really handy, in spite of their small size. 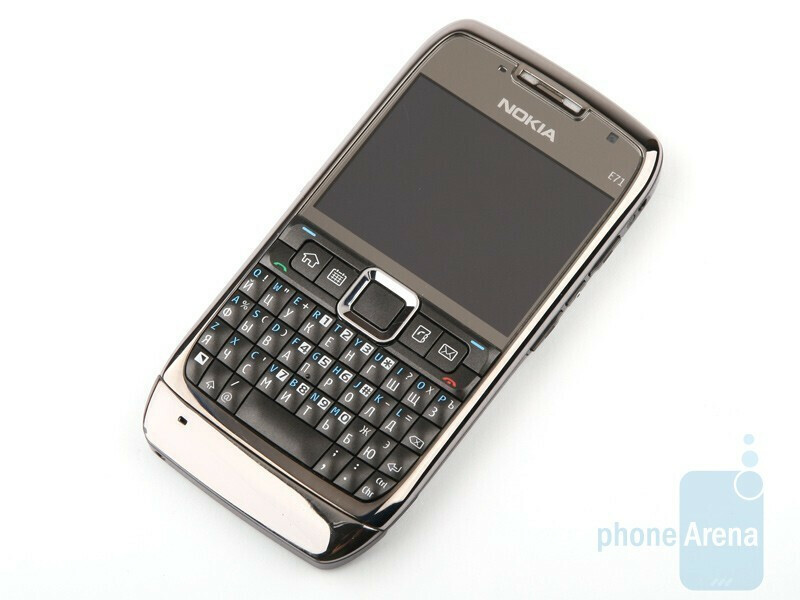 You surely want to ask if the designers managed to gather a nice QWERTY keyboard in the comparatively compact body. The short answer is “It depends.” We need to note that we use a unit that has a Cyrillic input language too. The keys are small, with a good relief and are easy to press, but they are really strangely arranged. 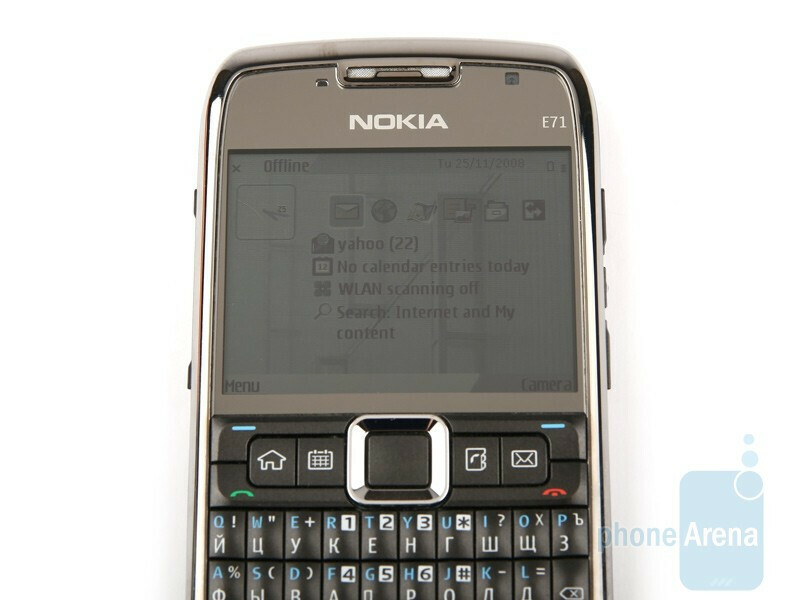 If you’ve used some of Nokia’s previous QWERTY models (for example the E61i), you may have gotten used to the fact that the bottom row of keys isn’t moved by a step to the right. This is a common practice for other developers, since this way the keyboard resembles the one you know from the computer. Well, the Finns are obviously not concerned about that, so if you don’t have any experience with some of their QWERTY phones, you’re going to need some time in order to get used to it. You won’t be exactly shocked by what you’ll see on the sides. 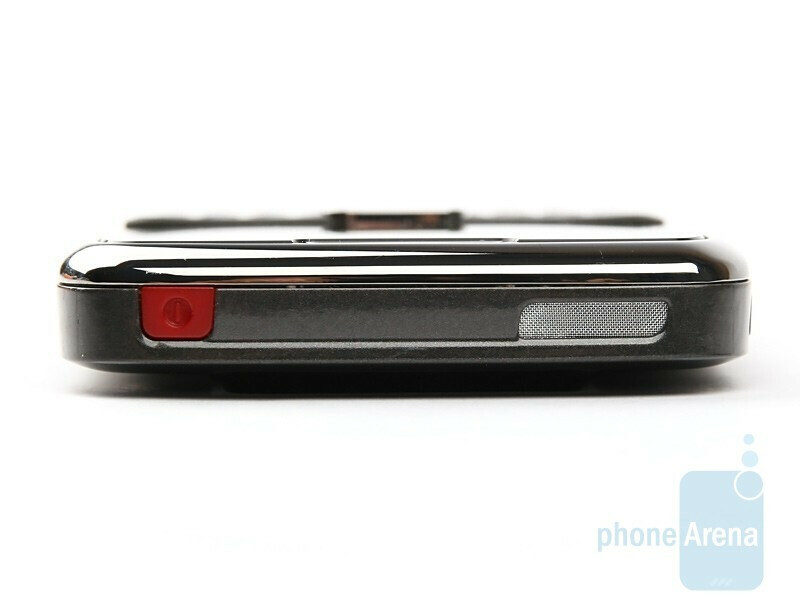 The microSD card slot and the miniUSB port are on the left, and the volume rocker, the voice command/microphone mute button and the 2.5mm jack are on the right. 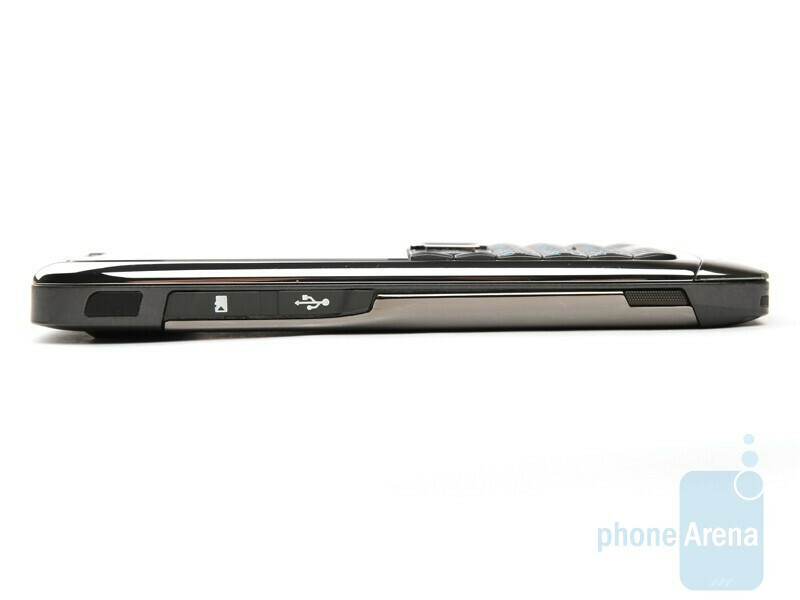 Yes, unfortunately for the 3.5mm fans, they will have to wait for the budget-oriented E63. The place to plug the charger in is on the bottom, and the power button is located on the top. I wanted to comment on the video section of the review. I had an E71 for several months and I'm pretty sure the video recording is at VGA resolution and 22 frames per second. I thought the videos were of good quality. Sorry to say, no its not. I did a test at full quality and copied over the file to my computer, both VLC (Tools> Codec information or Ctrl+J) and ffdshow with Winamp show video playing at 15fps.